Started in 1906 in Amsterdam by Constant Pont as a supplier of glass containers, the Pont Europe Group today comprises 140 highly professional staff. 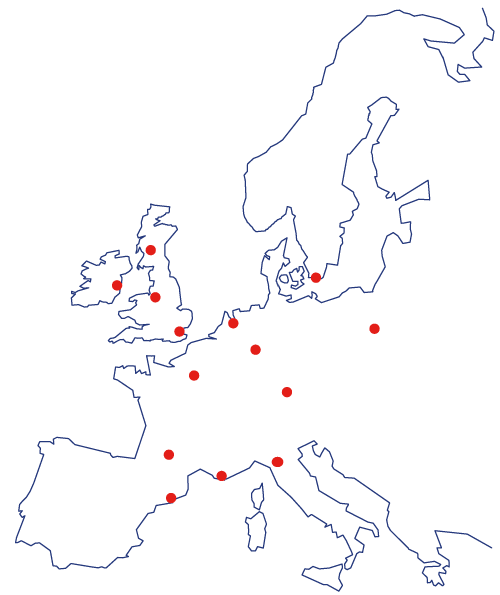 Our 14 offices and warehouses, located within the European Union, are all fully dedicated to meeting the packaging needs of their respective markets. Established as the packaging market leader through its creation and development of unique packaging solutions, Pont continues to work on improving existing solutions and anticipating future market needs. Pont will offer its customers its expertise in designing, prototyping and producing bespoke packaging solutions, whether in glass or in plastic.In addition many of our standard items can also be personalised with embossing, printing or sleeve solutions.